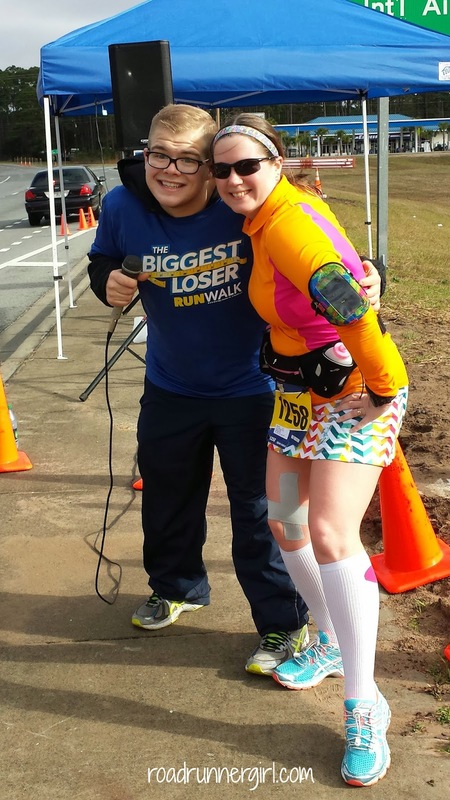 Road Runner Girl: The Biggest Loser RunWalk Mobile, AL!!! Most of you know that I ran the Biggest Loser RunWalk Half Marathon in Panama City Beach about a month ago. It was an absolute BLAST! That's why I can't wait for this weekend! I'm running the race again...in my neck of the woods!!! 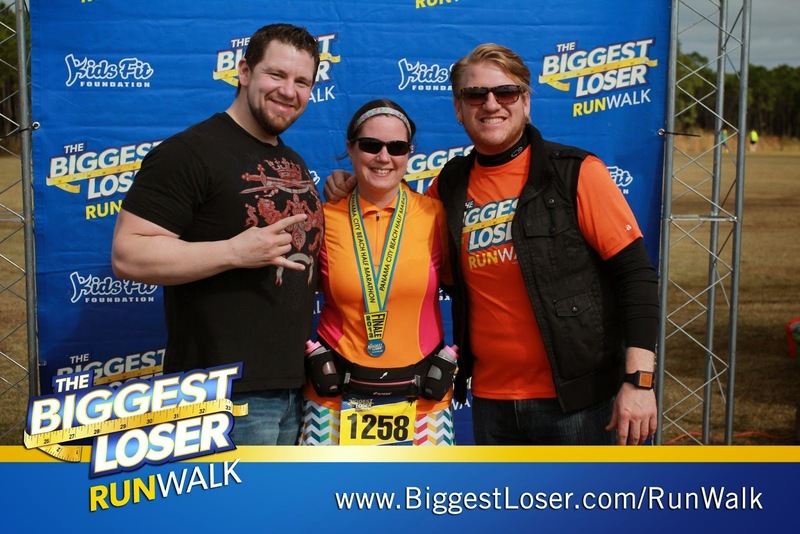 I was super excited to hear about the Biggest Loser RunWalk coming to Mobile, AL! I knew I had to be a part of this race...and that was before I had even ran the Panama City Beach one! How much fun it would be to experience this awesome race in my city! The Mobile, AL race takes place on Sunday, February 9th at 8:00 AM in Downtown Mobile across from the Gulf Coast Exploreum. They are offering a 5K and a half marathon! I will be running the half marathon (my favorite distance)! I will say that my favorite part of this race in Panama City Beach was meeting the former contestants! They were so excited to meet everyone and were so inspirational! And I loved that they were out on the course cheering you on! Just look how excited Jackson from Season 15 was at the turn around point of the race! I saw Jackson (season 14) at the Rock 'n' Roll New Orleans expo this past weekend and he wasn't sure if he was going to be in Mobile this weekend or not (I sure hope so). But I know for sure that Dan Evans (season 5), Vinny Hickerson (season 12), Jeff and Francie (season 14), and Gina McDonald (season 14) will all be there! I can't wait to talk to them all again! And look at this awesome medal! I can't wait to earn one of these! Another fun aspect of this race....Mardi Gras! There will be a Mardi Gras costume contest with prizes for teams, individuals, and couples! Fun! And like all the other Biggest Loser RunWalk races, there is the Team Challenge where you can build a team and support and encourage each other. Being part of the Team Challenge also gives you a discount on registration, recruitment support, group commemorative photo, and a start and finish line tent with 25+ runners. Be sure to register for this awesome race HERE! I would LOVE to see you out there on the course!!! And if you'd like 25% off your registration...use the code MOBBGR14! 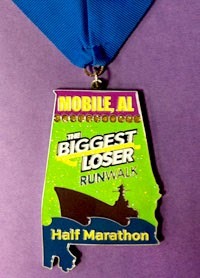 QOTD: Are you running the Biggest Loser RunWalk in Mobile? Or in a different city?